I was born and raised in the great city of Fargo, North Dakota. After moving to Minneapolis in my twenties, I decided that I’d had enough cold winter for a lifetime. Austin, Texas called my name with it’s incredible weather and vibrant music scene. I played music and toured the U.S. and Europe until my 30th birthday. I decided to find a “grown-up” career. 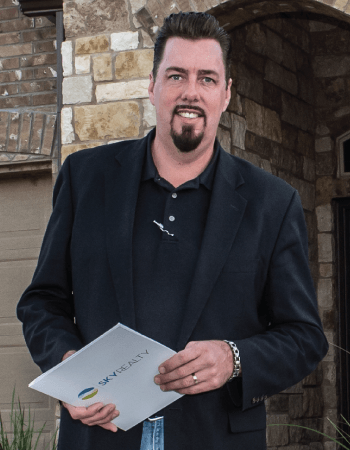 I quickly got my real estate license and began helping people negotiate the often frightening and convoluted process that is buying or selling homes and property in Texas. I’ve now got 17 years of wonderful clients and their stories of how I found them the perfect home or they realized the financial benefit of home ownership, financially. I still look forward to meeting new clients and addressing their needs as well as assisting past clients as they roll their equity into a newer, better home! I’m learning every day, and loving it! Jeff is hands-down the best real estate agent I have worked with. The phrase “above and beyond” is over-used when it comes to testimonials, but it is entirely accurate in referring to Jeff and his work. He is responsive, knowledgeable, and effective at dealing with all the people who need to be dealt with to get things done in the domain of real estate. As a small investor, I’ve bought a number of properties (in various cities) and worked with numerous real estate brokers so my compliments of him are based on broad experience. One of the things I most appreciate about him is his ease and promptness of communication, allied with an unshakeable positive and professional disposition, which helps time and time again when things do not go as planned, as inevitably happens from time to time. I recommend Jeff Hayenga to anyone. The fact that I first did business with him a decade or so ago and exclusively work with him now in and around Austin says everything. I just wanted to say thank you for the amazing job you did for us! I can’t believe we had two offers for our home within 48 hours of listing our home!! We were VERY happy that we got more than we asked for as well! Of course, selling our home that fast created an issue of finding a place to stay while we waited for our new home to be finished, but you even helped us find a place with a short lease while we waited. You also helped us through the buying process of our new home!! Thanks again for all your help! Thank you so much for your help, I think that was transaction number 4 with you!! I selected Jeff Hayenga to both sell my previous home and help me find a smaller home a few years ago. During a slow time in the real estate market, he negotiated a wonderful deal as I sold off my large home, making a good profit and conducting a very smooth transaction at a time when home negotiations were very tough due to the economics of the period. As we worked together selling one home, he came thru with a wide selection of homes based on my criteria – taking the time to show each, explain the pro’s and con’s of each neighborhood, builder and asking price. It did not take long to find a perfect home in my price range – and again he helped negotiate an excellent purchase price, giving me ample time to relocate from my old home to my current residence. Mr Hayenga was always available via phone and email during the process and I would never hesitate to recommend him to friends or family with real estate needs. I have our dear friend Carrie to thank for putting us together. You made our transition from California to Austin Texas with a real down home and friendly manner. We enjoyed the rental house you found for us back then for nearly 3 years. It was a no brainer to call upon your services again when we were looking for a new place. I know the hard work and seemingly endless time we put you through whether to rent or buy. But alas, you stuck with us through thick and thin. Our experience with you has been nothing short of stellar and professional!!! We always mention your name with pride to others who are seeking info on a reliable realtor. We consider you a friend as well. I can’t say enough good things about Jeff – but I can say that he is the best real estate agent I have ever worked with in Texas. When I purchased my first property through Jeff, his thoroughness, responsiveness and professionalism were immediately evident. I was so confident in his work that I had him help me purchase my second next without my even seeing it! Jeff goes above and beyond, and I have worked closely with him for years now. As my agent for properties that I’ve rented out, he has always provided complete peace of mind that my interests, and those of my tenants, are being looked after. I work with many professionals in many fields and there is no in whom I have more confidence than I do in Jeff Hayenga. My experience with Jeff Hayenga with Sky Realty has been absolutely exceptional in everything that he has done for my family. When we decided to sell our first home and move to a bigger home, Jeff was recommended to me by coworkers and friends that he has helped in the past. He guided us through the process, told us what we needed to do to make our house stand out to potential buyers, our house sold on the first day it was listed for above asking price! He was also instrumental in the negotiation of our new house for the best price we could get, that was three years ago. Recently, after receiving an inflated property tax bill, Jeff helped out by checking the home sales market in my area and comparing sales prices, then he assisted me at the Appraisal District Protest Hearing and helped reduce my assessment by $16,000. When we decide to buy and sell again, Jeff Hayenga will be the only Realtor we will call ! Jeff Hayenga helped me find a great rental property in Kyle, TX and has helped add to my investment portfolio. He really did the research and negotiated a great offer. I would have had NO idea how to purchase a HUD home and he was more than skilled with the process. I recommend everyone works with Jeff Hayenga. He’s a professional and a great guy! Jeff helped my buy my first condominium after I retired. Not only did he take his time with me, educating me on the fine points of purchasing a home; negotiation, inspections, lender questions, and more. I had just had my hip replaced and Jeff brought a footstool to help me get in and out of his large SUV. He had to run out and put it on the ground before I got out or climbed in! What a gentleman! Jeff Hayenga is an incredible Realtor! Call him! Buying a home is a lot of work and responsibility. I would never try it without a qualified real estate agent like Jeff Hayenga. Jeff always had the answer, and even if he didn’t, he’d get it. I highly recommend him for ALL of your real estate needs. I’m currently happy in the home Jeff sold me, but when I’m ready to move, he’ll be the first call I make! I was over at Jeff’s house for to watch football one Sunday. I noticed that he had a “for sale” sign in the yard. Jeff had just sold my first home in Barton Hills and made me hundreds of thousands of dollars, right before the market crashed. I said; “I think I’d like to see the house next door, It’s got a pool, right?” Jeff said that it did, AND there is a gate in our fence to go back and forth! I loved the place and bought it immediately. We’ve been great neighbors for over 10 years already! Make sure Jeff Hayenga is YOUR Realtor! I came down to Austin from Minneapolis on vacation and FELL IN LOVE with this city! Thank goodness Jeff Hayenga was there to show us around! He found us the perfect home in the perfect neighborhood! Jeff knew the areas, prices, and local hotspots. It was truly easy working with such a professional Realtor with a real love for his work! He turned us on to the best food and music venues as well. Thanks, Jeff! We had such a great time with Jeff Hayenga while we looked at homes! He was always on time, prepared, and even hilarious with his stories and great outlook on life. Jeff took his time explaining the contract, timeline and additional information about home inspectors and lenders, etc. This wasn’t our first home purchase, but it was the smoothest. We highly recommend Jeff as a qualified Realtor for any of your Austin real estate needs. Jeff Hayenga has been a good friend for 20 years. He sold my first wife and I our “starter home”. When we divorced, he listed and sold it. We made a nice profit. Jeff and his wife actually let me stay in their guest bedroom for a few months while I figured out my next move. I was with Jeff and his wife when I met my current wife. We’ve been together ever since! We moved to Dallas for our jobs, but are still close friends with the Hayengas. Jeff sold my ex-wife her first condo and then new home when she remarried. I wouldn’t work with anybody else. Jeff is like family.